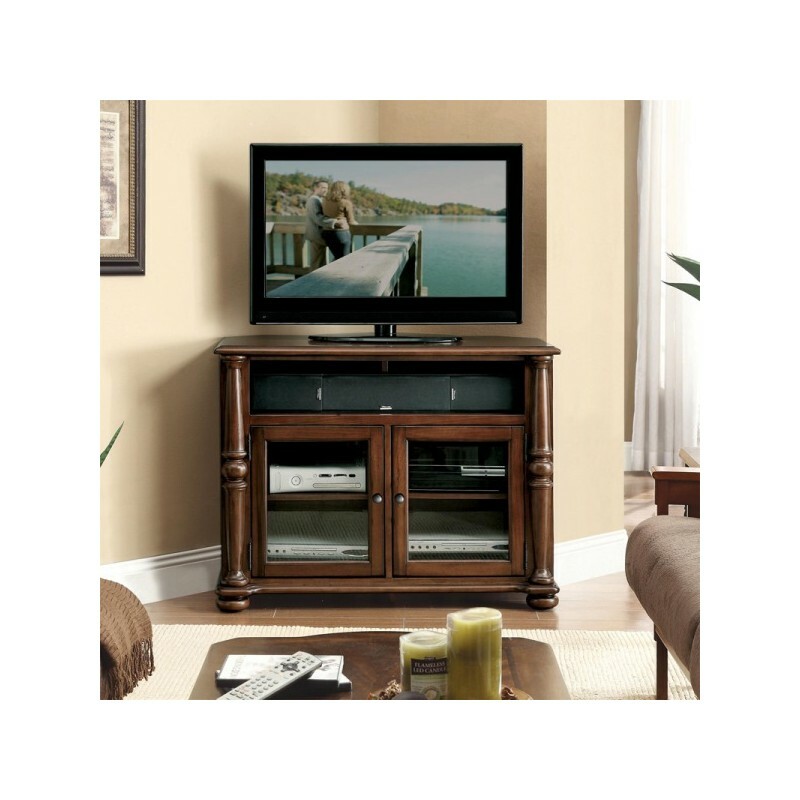 The Dunmore Corner TV Console features two doors with beveled glass inserts, each containing an adjustable shelf. The console has two top open storage areas and interior wiring access and ventilation cutouts for your home entertainment electronics. 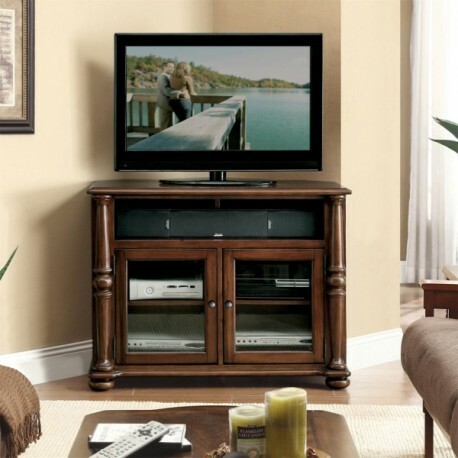 Constructed of poplar hardwood solid and cherry veneer with an upland cherry finish.